Whistler is an idyllic mountain destination that has something for every visitor, from top-rated ski slopes to luxurious spas. Whether you're planning on visiting Whistler during the summer months or during the winter months, you should work with Vacatia to book your stay at one of the best vacation rentals in the area. If you want to stay close to great dining and shopping, you should consider staying in Creekside Village. This pedestrian-friendly area is full of great restaurants, shopping, and nightlife, all within close proximity to world-class skiing and great hiking trails. Vacatia can help you sort through its selection of Whistler Creekside accommodations until you find the perfect home base for your mountain adventures. When you book your Whistler Creekside lodging through Vacatia, you can rest assured that your vacation rental will be spacious, comfortable, and ideally situated near the village's best spots. So if you want ensure that your Whistler getaway is one you'll never forget, simply book your stay at one of the best Whistler Creekside rentals available through Vacatia. 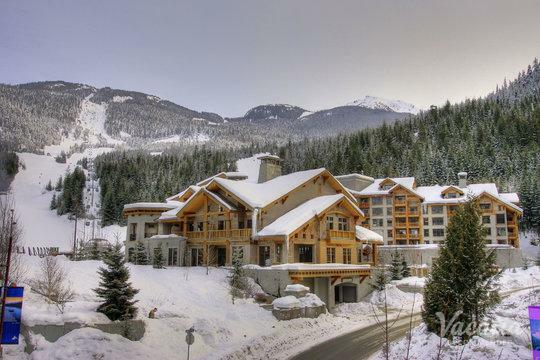 Whistler is a charming resort town that boasts two major mountains, Whistler and Blackcomb. Both mountains are known for their top-rated skiing and abundance of outdoor activities, and visitors can experience the beauty and excitement of these mountains year-round. 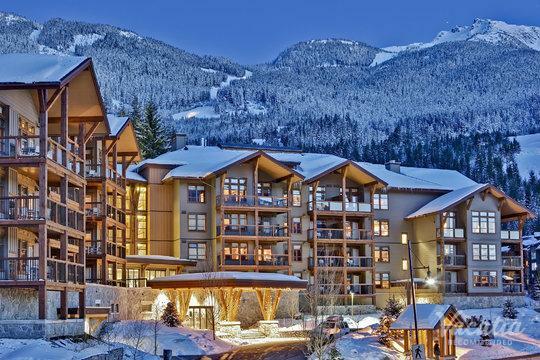 One of the most popular places to stay in Whistler is Creekside Village, which is home to great resorts as well as fantastic dining and shopping. So if you want to stay at one of the best Whistler Creekside resort hotels in the area, simply book your accommodations through Vacatia. When you stay at a Vacatia rental property, you will feel right at home, as Vacatia's "resort residences" combine the comfort and space of a home with the services and amenities of a resort. This means you will have your own fully equipped kitchen where you can whip up breakfast before hitting the slopes, so you can enjoy every moment of your time in Whistler. Whistler is a popular resort town located about two hours north of Vancouver, British Columbia. As a former host of the Winter Olympics, Whistler is best known for its world-class skiing. However, this mountain town is also a great destination during the warmer months, when the snow melts to reveal great hiking trails, a top-rated mountain biking park, and a picturesque lake. 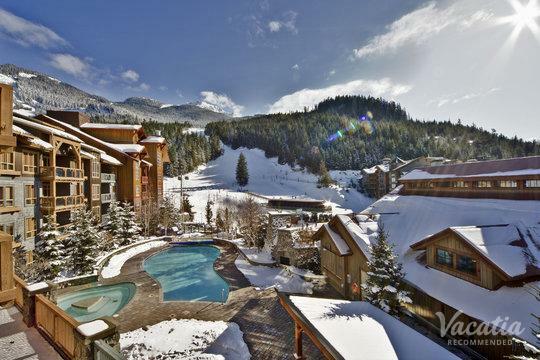 Whether you choose to visit Whistler in the winter or the summer, you should consider staying in Creekside Village. This pedestrian-friendly village is full of everything you could want - great restaurants and shops and quality resorts. When you stay at a resort in Creekside Village, you will be walking distance from a variety of dining, shopping, and entertainment. So if you want to stay in one of the best locations in Whistler, simply work with Vacatia to book your accommodations in the beautiful mountains of British Columbia. There's no shortage of things to do or see in Whistler, so make sure that you have a great home base for your mountain adventures.